The other Saturday morning I was up bright and early to get to my BodyStep class. Before I set off, I had to wait for my husband to return from a training session for his upcoming sprint triathlon (completed at the weekend since you ask). As he came home he saw our neighbour and a friend just setting off for a cycle around the tri course too. As I drove up to the gym, there were already plenty of people out and about running and cycling along the A4. The gym was packed too, I'd had to book a week in advance to get into this class, but since Saturday opening time is 7.30am, there were already sweaty bodies pouring out of the Spin studio and yogis looked seriously stretchy and chill. Suddenly it occurred to me that I must live in the healthiest place in the country. Here we all were - up and at it - and it wasn't even 9.30am! How lucky am I - and my kids - that we live in a place that has so much to offer and so many ways to keep fit? In a couple of weeks (Sept 21st) the recreation field behind my house will play host to a family fun race called 'Colour Me Twyford' with spectators asked to cover the runners in colourful powder, the month after sees another family event with 1m fun runs for adults and kids (Oct 5th). 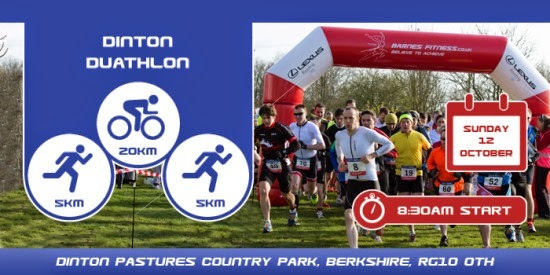 While these are small, charity events, more serious competitors can head to the local country park, where you can find a series of 5 and 10k runs, as well as duathlons (the next one is October 12th, and I'll be there if other newbies want to join me!) and aquathlons. Other organised activities at the lakes at Dinton Pastures include sailing, kayaking and stand up paddle boarding. Runners have also have a local parkrun, just three and half miles away from Twyford, with half marathons in the larger towns nearby - Reading, Maidenhead, Marlow and Henley. And for those that prefer trails, there's the Cliveden Cross Country. But if you're really up for a challenge (and like mud, and you know, being electrocuted - who doesn't?) there's the Tough Mudder event in Fawley in May. With the Thames on our doorstep, there's also rowing, sailing and open water swimming to enjoy in the nearby towns, with loads of opportunities to enter events for all levels of abilities in both Henley and Marlow. Local villages also hold regattas, with a mix of fun and competitive races. Dorney Lake, which hosted the rowing and kayak events during the Olympic and Paralympic Games for London 2012, is about 13 miles away and plays host to rowing, canoeing, triathlons, duathlons, aquathlons, half marathons and other road races. Many people just pop along to cycle or run the 5k track around the lake too. If wake boarding and water skiing are more your thing, there's Liquid Leisure boat and cable park in Datchet. Another great local amenity is Swinley Forest, more than 1,000 hectares of Crown Estate woodland, home to a 24.2k cycle network and Swinley Bike Hub cycle hire (last Christmas I even did a 5k run dressed as Santa there). For keen road cyclists there's the Marlow Red Kite Ride - with 50-, 80- and 100-mile routes through the Chilterns. There's also a National Cycle Route to follow into Reading if you need to incorporate a ride into the office and Station Cycle Solutions now has a pop-up shop at Twyford train station to fix your bike while you're at work! Gym bunnies and studio addicts have two gyms (Twyford Health Club and Physiocare) in the village, as well as Castle Royle up on the A4, which isn't bad for a little 'parish' like ours! There's also several local personal trainers (like Amie Benton of Fuel Fitness) and bootcamps (like Immortal Fitness). 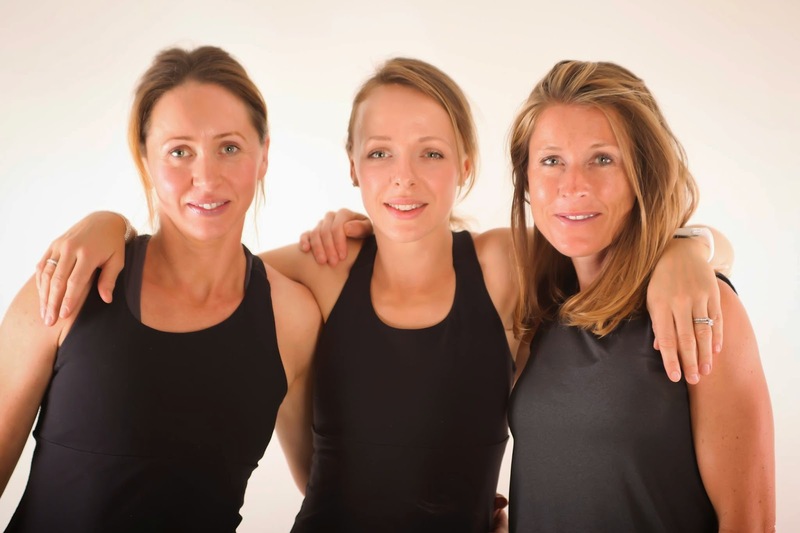 Zumba lovers are spoilt, with two well-known teachers in the locality, 'smiley' Sam Rayner with classes in Charvil and Sam Plummer, who runs classes for both adults and kids in Twyford. For even more local classes run independently, check here - I can personally vouch for the yoga lessons taken my Cheryl. We even have a tennis club, which is open to all levels and offers coaching and an outdoor community pool open May to September. Taking it to the next level, a new 'mix and match' local collective of fitness experts working together under the Go Workout umbrella was set up this summer, which allows you to choose sessions from a mix of pilates, yoga, running, TRX, bootcamps, nutrition and general wellness to create a schedule tailored to your personal needs and goals. 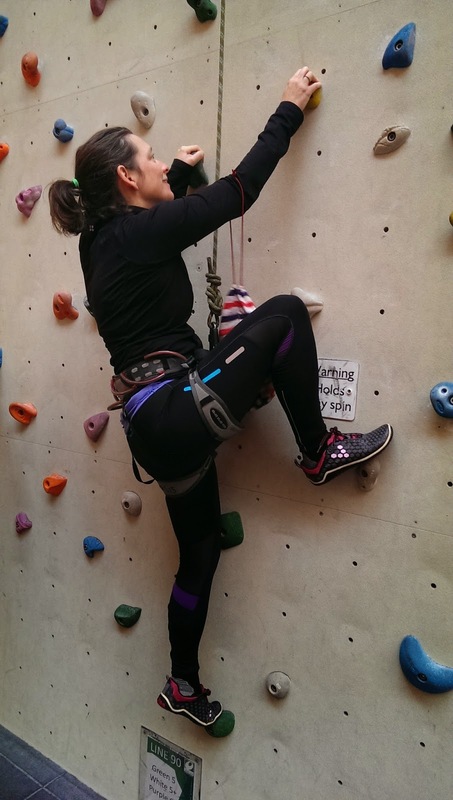 If you want something slightly more unusual you can make use of the local stables, or the climbing facility in Reading itself. Those that like to 'spoil a good walk' can indulge their golfing passions at the 18-hole Hennerton Golf Club or the 9-hole course at Hurst. That is a lot of very different and accessible ways to keep fit, and pretty much makes me realise I'm not taking advantage of them all! I imagine that every village, town and city has these kind of facilities if you look for them. The variety also means that if you've struggled to keep to a routine before because of cost, time restrictions or not being able to find something you actually enjoy, there should be something to suit you. So, now that we know we are all thoroughly spoilt - what will you try? Let us know if you can vouch for any of these local amenities and instructors in the comment box below. I'd welcome any details of club and facilities I've missed out too! The Go Workout team are a great bunch. My 10 year old daughter has started doing a kids exercise class with them (Go Kids) and she loves it. I think they also organise a running club for kids in Henley on a Saturday afternoon. I feel a second blog coming on...50 ways to work out with your kids...!